Nick and that Beautiful Beast called Bone Cancer: Surprise! 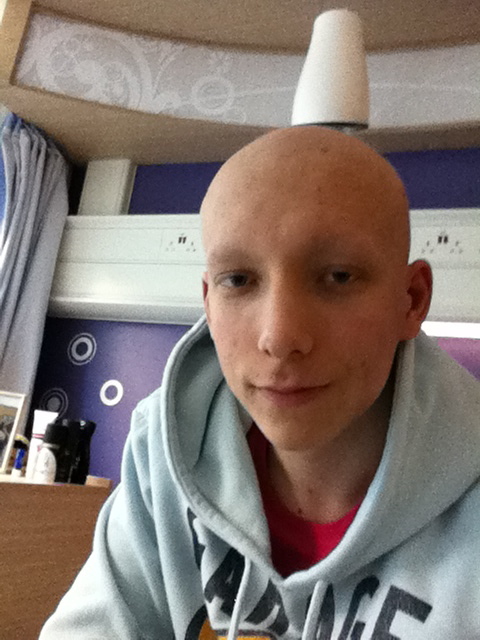 My high dose chemotherapy was to be the hardest part of my treatment. I was absolutely terrified, having seen two people go through it before. I was told I would be unable to get out of bed, unable to eat or drink and basically unable to do anything. I was expecting to be very very ill. Obviously, I was looking forward to it! Before I could start my high dose chemotherapy I would have to have scans of all my tumours, so they could assess them and see how they were shrinking. I would also have to have my kidneys and heart tested again, to check they were all working. The doctors also had to send my scans to the surgeons at the Royal Orthopaedic Hospital in Birmingham so they could assess whether surgery was an option. They reported that it wasn't recommended at all, because my tumour was so big removing it would leave me severely disabled and most likely in a wheelchair for the rest of my life. Because of this I was told that a few months after my high dose chemotherapy had finished I would be having six weeks of radiotherapy. I had a CT of my lungs and skull, along with an MRI of my pelvis and a full body bone scan to check up how my tumours were doing. They all appeared the same but what appeared to be a new growth had shown up on the CT of my lungs. If this was in fact a new tumour I would be unable to have my high dose chemotherapy and there would be nothing that the doctors could do to treat my cancer, they would only be able to buy me time. My consultant, Bob, hoped that it was just an infection and put me on some antibiotics and told me I would be scanned again in two weeks. If the grey patch still showed up on the scan then it would most probably be tumour and there would be nothing more they could do for me. Because I had to wait to find out if this was indeed a new tumour before being allowed to start high dose chemotherapy, I was put on an interim chemotherapy for one session. This was to stop the tumours being able to grow in between the end of my VIDE chemotherapy and the beginning of my high dose chemotherapy. Luckily, this chemotherapy only lasted three days as opposed to the four days VIDE had lasted for and because it wasn't as strong I wasn't as ill as before, my eyebrows even began to reappear (albeit briefly). As I waited for the scan results at the beginning of March it dawned on me. If they came back and it was a new tumour growing I would be dying, but if it wasn't and whatever it was had gone I would be starting what could potentially be half a year in hospital and could even kill me anyway. I was terrified of either option in all honesty but I knew I still wanted to fight this stupid horrible disease no matter what. I'd been told that it would be the worst four weeks (at least) of my life, a living hell. I was as ready as I ever would be.